You might be thinking, “Big deal Liz. You knit a lot of things.” But, not only did I make it, I DESIGNED it! 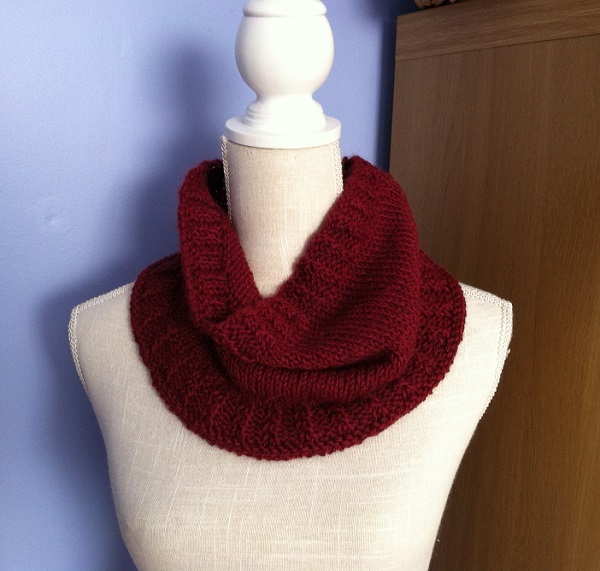 It is a very basic cowl, and my first stab at designing. I thought my poncho needed a little more coverage up top if I was going to wear it as an outerwear garment. And I didn’t want to just wear another cowl that I have, in fear of my outfit looking like I was just wearing everything I’ve ever knitted all at the same time. I wanted something that would match my poncho but blend in so it wouldn’t take away from the pretty lacey bit of the poncho. 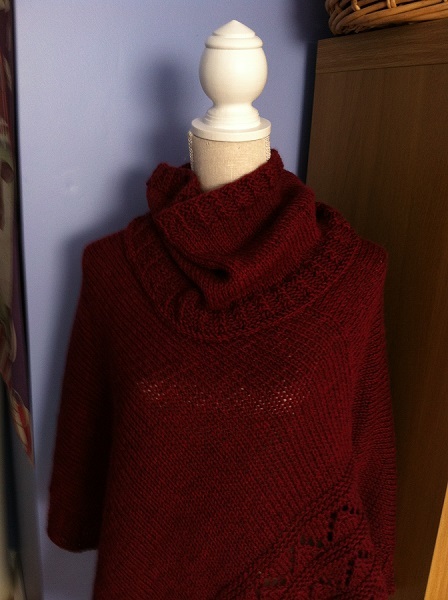 So, I used the same yarn and worked the ribbing that is in the poncho onto the cowl. I made this to match my poncho, but it’s a great, basic cowl to go with anything and keep you cozy. Next: Writing up the pattern, having someone check it over, knitting it again to make sure it’s right, and publishing it, since maybe you will want to knit it too! 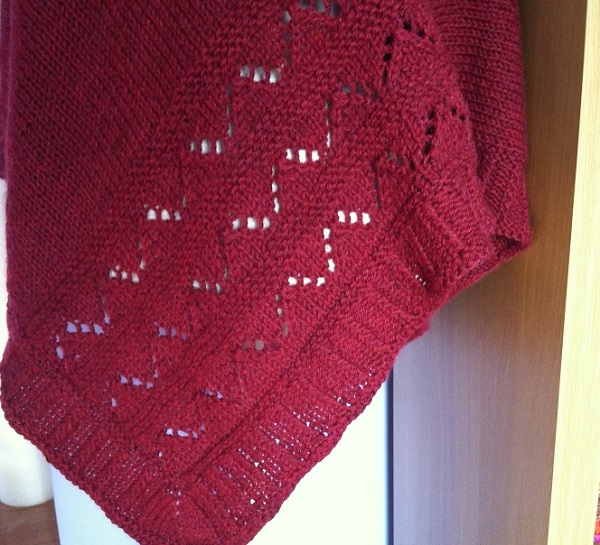 Posted in Uncategorized and tagged designing, high plains poncho, matchy cowl on November 10, 2014 by lizytish. It is a big deal! Great things have to start somewhere! And I know there are other designs in you. Congratulations. The next Deborah Newton! Thanks Robin! Teeny tiny steps…. The cowl is great – it makes the poncho even more versatile. Congratulations on your first design! Thanks Libby! It’s doing just what I wanted it to do! Congratulations on your first design! Beautiful, you are soooo clever!!! !